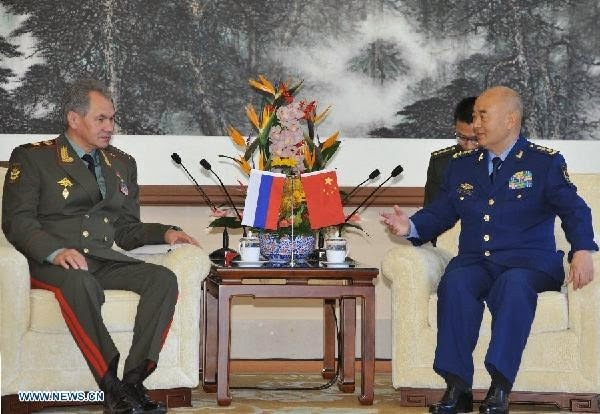 Russia and China should jointly stand against “color revolutions” which both countries are facing, a deputy Russian defence minister said after talks between Russian and Chinese defence chiefs on Tuesday. “We focused on those events which have recently taken place in Hong Kong, and both ministers acknowledged that no country is immune from ‘color revolutions,’” Anatoly Antonov said. "We are against arrival of the billionaire George Soros to our country," the representative of NGO Strong Kyrgyzstan Muratbek uluu Bekbolot defined the aim of the protest, passing near the building of the US Embassy in the Kyrgyz Republic, to 24.kg news agency. According to him, after his first visit to our country there was a coup in 2005. "Now Soros again appeared, and we suspect that he is planning another revolution in our country. We are for peace Kyrgyzstan and don't want war. Our country will not survive after another coup," he added. The State Committee on National Security (GKNB) charged two staff of the Human Rights Advocacy Center, an anti-torture campaigner in Osh, on November 20 with “inciting interethnic hatred,” a source with intimate knowledge of the case told EurasiaNet.org. One was told that the former director of Freedom House’s Kyrgyzstan office would also be charged. The GKNB had outlined its case in a September criminal complaint, stating that an opinion survey distributed by the Advocacy Center posed a threat to national security and could reignite interethnic conflict in the country’s volatile south. The Advocacy Center project was funded by Freedom House, which receives some of its funding from the US Agency for International Development (USAID). 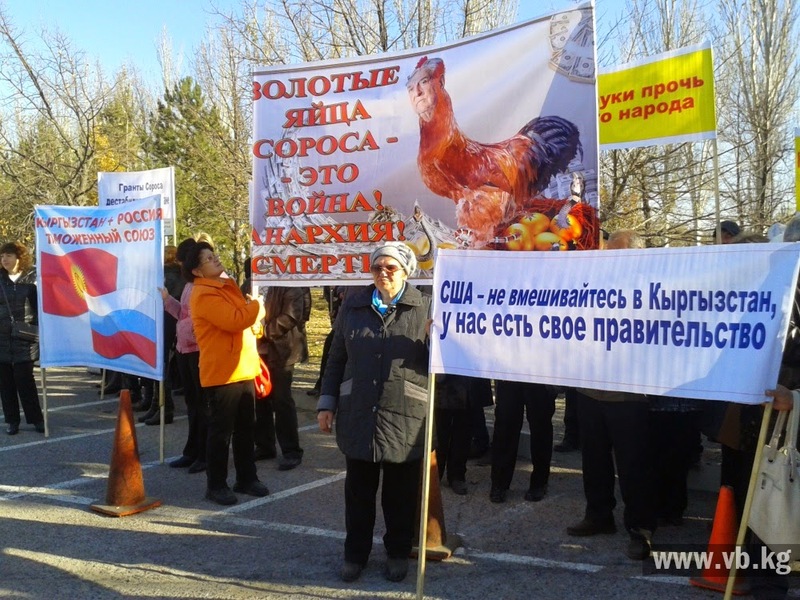 The source with intimate knowledge of the case believes Kyrgyzstan will try to shut down foreign-funded NGOs altogether and kick out USAID, as Russia did in 2012. “This is the beginning of the end. This has been building for awhile,” the source said. The Advocacy Center and Freedom House are just scapegoats, the source added. “Russia wants these groups to leave. They’re going to push. It may take a year or more, but they [Russia] are aiming to get them cleared out. The slowdown of Russia’s economy is inflicting pain across Central Asia. But impoverished Kyrgyzstan has no choice but to stay close to Moscow, Prime Minister Djoomart Otorbaev tells EurasiaNet.org. In recent weeks, Kyrgyzstan’s parliament has passed reams of legislation on membership in both the customs union and the EEU, which will come into being on January 1. “We’ve gotten some criticism from the United States,” Otorbaev says of EEU membership talks. “I would like to hear the arguments of those who would like us to close the border. [...] With whom are we going to trade? I don’t know. The United States is not here. Europe neither. China is very aggressively importing things. If someone would advise us, I would be more than happy to hear them. 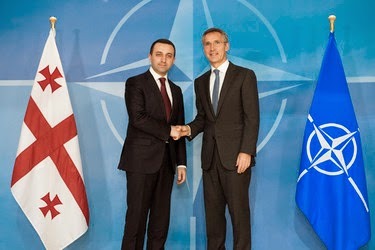 NATO Secretary General Jens Stoltenberg met Georgia’s PM Irakli Garibashvili in Brussels on November 17 and discussed implementation of the “substantive package” of cooperation, which NATO offered to Georgia at its summit in Wales in September. Thousands of protesters were gathered in Tbilisi center on November 15 at a rally organized by the opposition UNM party against what it calls is Georgian government’s “inaction” amid threat of “annexation” of Georgia’s breakaway regions by Russia. Abkhazia's President Raul Hajimba will visit Russia Monday to meet with President Vladimir Putin and sign a deal on strategic cooperation and integration, Kremlin's press service announced Sunday. "President of Abkhazia Raul Hajimba will visit Russia on November 24 at the invitation of President of the Russian Federation Vladimir Putin… It is planned to sign an agreement on integration and strategic partnership between the Russian Federation and the Republic of Abkhazia," the press service stated. 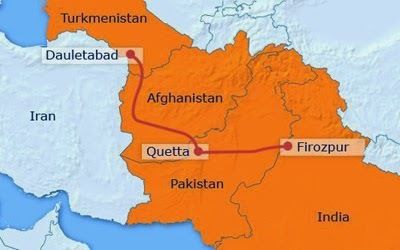 Taking another step towards realising the ambitious TAPI (Turkmenistan-Afghanistan-Pakistan-India) natural gas pipeline project, petroleum ministers of the four countries met in Ashgabat, Turkmenistan Thursday and agreed that steps will be taken to start the project by 2015. "It was decided that the next meeting of the steering committee will be held in February 2015 in Islamabad," the petroleum ministry said in a statement here on the 19th round of TAPI steering committee meeting attended by Petroleum Minister Dharmendra Pradhan. Iran, it seems, was calling Turkmenistan’s bluff earlier this summer when Tehran said it no longer needs gas from its northern neighbor. Now a top official says Tehran will keep buying. That is good news for Turkmenistan, which is so dependent on its main gas customer, China, that it is starting to look like a client state. The Iran-Turkmenistan gas trade has been dispute-prone over the years. Iranian energy officials have complained on a number of occasions that Turkmenistan does not always deliver on the contractual terms it signs. So the deal may mean more on paper than in practice. But for the moment, it buys both a little time.